The Place Living in the North-East of Singapore, I often run out of ideas for family meals in this area. Curry & Curry is a late discovery for me, but better late than never. The casual zi char eatery located in Kovan, is famous for its fish head curry. The restaurant is located beside the old Kovan bus interchange and has more outdoor seats than indoor seats, with a very casual setting managed by a veteran team of staff. It is very popular for dinner, so it is best to reserve well ahead. The Food The menu is decent. It is not the most diverse zi char menu but I still spot the basics like a wide variety of vegetables, different types of fried egg and prawn paste chicken. I didn’t think much of the rest as my main aim was to try the fish head curry. We went for the Curry Red Snapper Fish (S$28) since it is one of its signatures. There is also a steamed version but I would highly recommend the curry version. The curry is very good, to say the least. The texture is rich, so it goes very well with rice, so much so that we have to order an extra bowl, something I normally wouldn’t indulge in. The spiciness is just right for us to enjoy the curry flavour, with a nice tingle of sourness as well. The snapper fish is very fresh, and I also like that there are different types of vegetables and beancurd within the curry as well. This is good for sharing for 2 to 3 people. Other side dishes I tried were the Special Muah Otah (S$6) and Crispy Prawn Paste Chicken (S$9). I didn’t expect much out of these two dishes but am surprised that both are executed decently. The otah is enjoyable with the rice and curry, while the chicken has a nice crispy texture. Rants The service though, was quite bad. There were multiple confusions and miscommunications amongst the staff over our orders where we only ordered three dishes. Will I Return Again? I’m usually intolerant of bad service but if the food is good, I tend to close one eye. For Curry & Curry, I will return just for the curry. 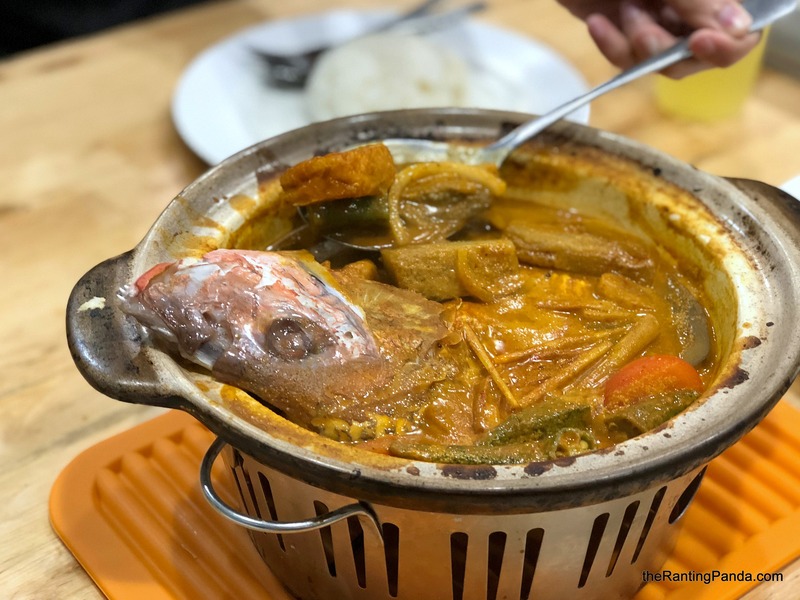 Know of any good fish head curry eateries? Do drop us a note!